It's here! Bangkok Roller Derby's FIRST OFFICIAL PROMO PARTY! Come sample the beers and party atmosphere of Jam whilst getting down and derby with the girls 'n' boys from BRD. Bring your friends! Bring somebody else's friends! 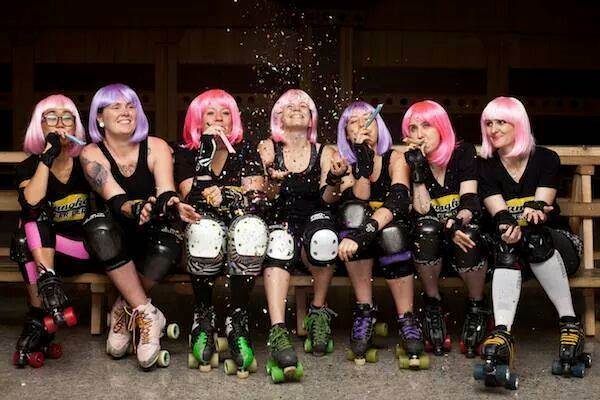 Bangkok Roller Derby is Thailand's original and only roller derby team. On skates since August 2013, BRD are looking for kickass girls and guys to come join our team! Whether you're a complete beginner or an utter pro, we'll teach you everything you need to know! Get along to our promo night to see what we're about, or come to one of our training sessions: Tuesdays, 7pm, Level 7 of Big C @ Imperial World, Lad Phrao.